Ad Verbum has multi-year translation experience. We offer standard translations of the highest quality into over 100 world languages. The strongly connected team of professional translators has long-term professional experience highly competent and responsible, with wide-ranging linguistic and specialist understanding. 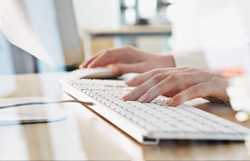 All written translations are done neatly and are kept in the company’s protected database. The delivery of the translation is in accordance with the needs and requirements of the client, in electronic or printed form. All translators are trained with up-to-date techniques and tools for translation. Since translating is one of our primary businesses, we offer our clients a quick response, timely provision and high quality translation services. Depending on your requirements and time limitations, each of your projects may be translated by one translator or by a whole team of collaborating experts. Although we translate all subjects, we specialize in legal, economic, financial, marketing, commercial, PR, advertising, medical, pharmaceutical, technical, IT, engineering, telecommunications, scientific translations, etc. Certification of Translation Accuracy: this states that translated documents are true, accurate and complete translations of the original documents, and constitutes an affidavit signed by sworn translator into whatever language the translation has been done into. This generally serves for most standard certified translation requirements in the country. Notarization: this is an affidavit taken to a Notary Public’s office, sworn before and stamped by the Notary. All work accepted by Ad Verbum is treated with high level of confidentiality. It is built into our contracts with our staff, translators and interpreters that all information that they have access to must be treated as strictly confidential and must not be disclosed to any third parties under any circumstances without express written permission of Ad Verbum. 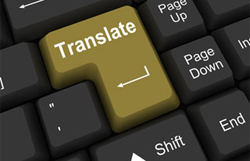 Our translation services ensure that your work is in the hands of suitable translators who have expert knowledge.